14ymedio, Zunilda Mata, Havana, 17 March 2017 — A year ago the headlines left no doubt: Cuba was Americans’ new destination and that country’s airlines fought for their piece of pie of flights to the island. After the initial enthusiasm, several of these companies have cut back on the frequency of their trips and others have seen a reduction in passengers. In March 2016 the most important airlines in the United States requested permission from the Department of Transportation to include the island in its commercial destinations. Among them are big ones like American Airlines and Delta Air Lines, as well as United Continental Airlines, Southwest, JetBlue, Spirit Airlines, Alaska Air Group and Silver Airways. Expectations grew and climaxed when JetBlue’s 387 flight arrived in Cuba on August 31, 2016 from Fort Lauderdale airport in southeastern Florida. The plane arrived in Santa Clara in just over an hour, completing the first commercial flight between the two countries in more than half a century. Everything was all positive predictions at the time, and the Cuban ambassador to the United States, José Ramón Cabañas, cut the inaugural tape of the flight with JetBlue CEO Robin Hayes. In all, the routes of all the airlines reached 110 flights daily, 20 of them to Havana, the most popular destination. Earlier this year, American Airlines sounded the alarm when it cut its daily service by 25% and decided to use smaller planes. At the end of last year the company was operating two daily flights from Miami to Havana, Varadero and Santa Clara and daily service to Camagüey and Cienfuegos, but many of the aircraft flew with more than half of the seats empty. Americans are still banned from traveling to the island as tourists but can travel within 12 other categories. The most used are cultural and educational exchanges. In January 2017, Cuba received 43,200 visitors from Cuba, a growth of 125% compared to the same period last year, according to Cubadebate. However, the numbers of travelers have not grown as expected. The causes range from the slow economic changes implemented by Raúl Castro, up to the arrival of Donald Trump and the fears that have been generated before a possible reversal in diplomatic normalization between the two countries. The low number of customers also points to Cuban-Americans’ caution in visiting the island. “With the immigration changes implemented by the Trump administration, many rumors have surfaced that exiles could have problems if they travel,” Idania Consuegra, a middle-aged Cuban living in Miami for two decades, told 14ymedio. For some airlines this is a test of persistance rather than speed. “Patience is the word for now,” said Gary Kelly, chief executive of Southwest Airlines. The executive clarifies that the company had no expectations about its six daily flights to Havana and two other cities since this route had not be served for 50 years. 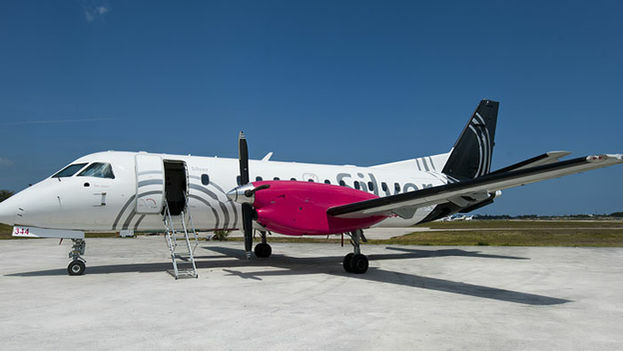 Silver Airways was forced to cut its weekly flights to six cities in Cuba, according to Bloomberg. The inability to sell tickets to the island through major online travel agencies such as Expedia and Priceline are some of the causes of these cuts according to company managers. Frontier, a low-cost carrier based in Denver, Colorado, has announced that it will operate its last daily flight from Miami to Havana on June 4. On the other hand, the president of the Norwegian Cruise company, Frank del Río, is elated due to the high sales levels of the cruises that include Cuba in its itinerary. During the Seatrade Cruise conference this week in Fort Lauderdale, the manager said he believes the island “is going to be a home run” for his company. The declarations come a few days after the company’s first cruise arrived at the port of Havana with 1,250 passengers on March 9 on its inaugural trip to Cuba. Norwegian plans to make nine more trips from the US during this year with two other of the company’s brands also participating: Oceania Cruises and Regent Seven Seas Cruises. The reception of the imposing ship was the occasion for the president of the Enterprise Cuba Travel Group of the Ministry of Tourism of the island, Jose Manuel Bisbé, to predict an increase in the number of trips of this kind. According to the official, during 2016 88,000 cruise trip passengers visited the island and in the first two months of 2017 the number is 55,000. Visitors have arrived on the twelve cruise lines that have agreements with the country. For the first time in its history Cuba received 4 million tourists last year, a record that represented a growth of 14.5%. For this year it is expected that the numbers will exceed 4.2 million visitors.